ISLAMABAD, May 4, 2018: Senate Opposition Leader, Senator Sherry Rehman, called for government action on the water crisis in Pakistan. “We are already in a water crisis. We are running out of groundwater and if no action is taken now, we will end up having to ration water. 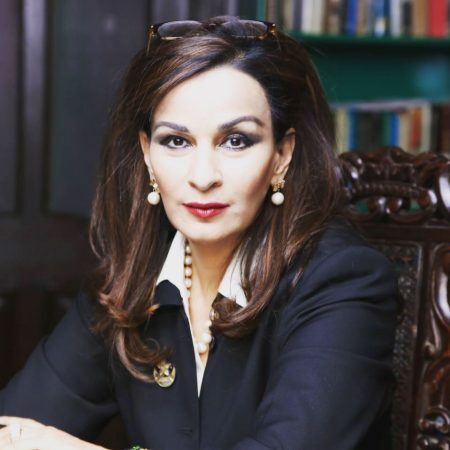 I have constantly raised this issue in the House because the urgency of this situation cannot be stressed enough,” said Rehman on the floor of the House. The Vice-President of PPPP lamented, “It is extremely disturbing that Sindh and Balochistan have low representation in the National Water Council which will be headed by the Prime Minister”. “Instead of allocating 10% of PSDP for water, the government has slashed PSDP’s funds by 20%. “The government needs to focus on water conservation through small interventions at the local level and stress on the importance of crop pattern change, bio-saline agriculture and water re-use practices,” insisted the Senate Opposition Leader. “The Senate needs to set up a water caucus immediately. This is not a matter for political point scoring. We must all come together to ensure that the next generation will have ample supply of water. It is our collective responsibility as elders and as parliamentarians,” Rehman concluded.